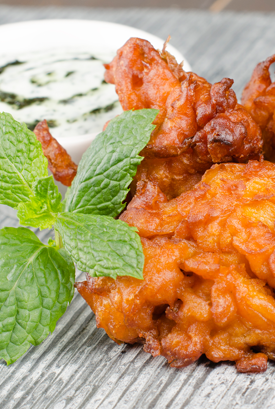 Sanjay’s Foods Ltd. delivers the authentic Indian and Fijian food experience for exceptional value. That’s because we use all-natural ingredients sourced from our trusted suppliers to create the unique, culturally traditional recipes and blends our food is known for. Our products are quality controlled daily and efficiently manufactured so our prices can encourage our customers to enjoy tasty, traditional, global flavours at home. Chutney’s are traditional Indian cuisine condiment that can vary in sweetness, spice, and overall tartness. 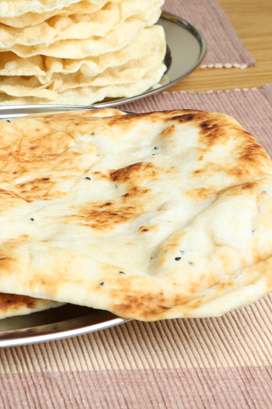 Indian bread staples like Naan, Roti, and Chapati are essentials at your dinner table and an integral part of Indian cuisine. Jamaican Patties are golden flaky pastries stuffed with various savoury fillings and spices. Masala is a delicious blend of ground spices that make up the foundation of Indian cuisine. FROM OUR FAMILY KITCHEN TO YOURS, SANJAY'S IS HERE FOR WHEN IT MATTERS MOST. LET'S EAT. We proudly create only the highest quality foods free of GMOs and preservatives to be enjoyed at any of the following food service locations.